Marshall Taylor’s friends and family are raising money to pay for uninsured medical expenses associated with his kidney transplant. Marshall now lives in Hanover County, Virginia He received a kidney transplant at the University of Michigan Hospital in Ann Arbor, Michigan on September 2, 2010. 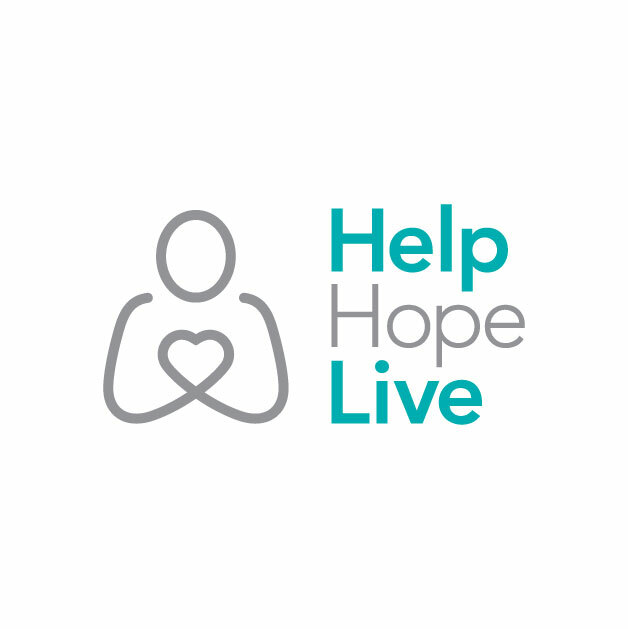 Marshall’s family has chosen to fund-raise with HelpHOPELive in part because HelpHOPELive provides both tax-destructibility and fiscal accountability to his contributors. Contributors can be sure that funds contributed will be used only to pay or reimburse medically-related expenses. Marshall graduated from Cardinal Gibbons High School in Raleigh, NC in May 2015. 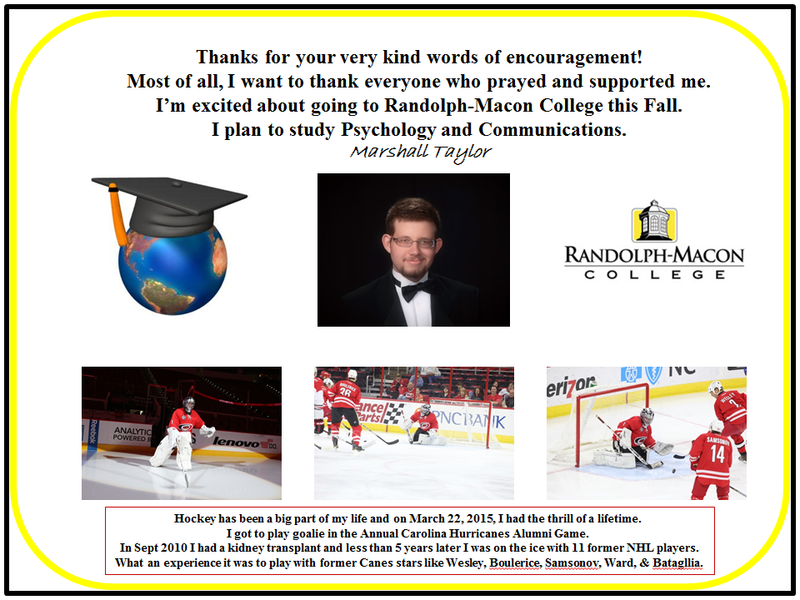 He is now a senior at Randolph-Macon College in Ashland, VA. He is a Religious Studies major and plans to attend seminary in the Fall of 2019. Since he was diagnosed with bi-lateral kidney disease in August 2005, Marshall has undergone many hours of frightening and lengthy medical tests. Throughout all of this he has been brave and hopeful that things will be better with a new kidney. Marshall has also participated in several research projects at the UNC Kidney Center that hopefully will benefit other transplant patients and their families. His Aunt Karen donated one of her kidneys to Marshall and has been tested and cleared by the UNC medical team to be Marshall’s donor. Now Marshall and Karen are related in a very special way. Many churches, Sunday School classes, prayer groups, schools, day-care centers ,and individuals have prayed for Marshall over the years. Please join the thousands who are praying and be sure to pray for all the other adults and children who are facing tests and operations associated with organ transplants. You may contact Marshall by sending him an email at: [email protected] He will be glad to hear from you and happy to answer your questions about his progress. To make a contribution to Marshall’s fundraising campaign, click the “Contribute Now” button. To email this page directly to others in your community, who might wish to learn about Marshall’s campaign, click the email button and type in as many email addresses as you wish. Phil thanks for telling me about Marshall. What a precious yung man and with hopes of VMI. My husband, Bill, is a '56 graduate of VMI. Can't wait to show him your picture. I'm so happy to hear that you have a donor in place when the time comes. I was working at MCV when Dr. Bosher did the first ones at that hospital and I got to help with some of the follow-up blood work procedures. 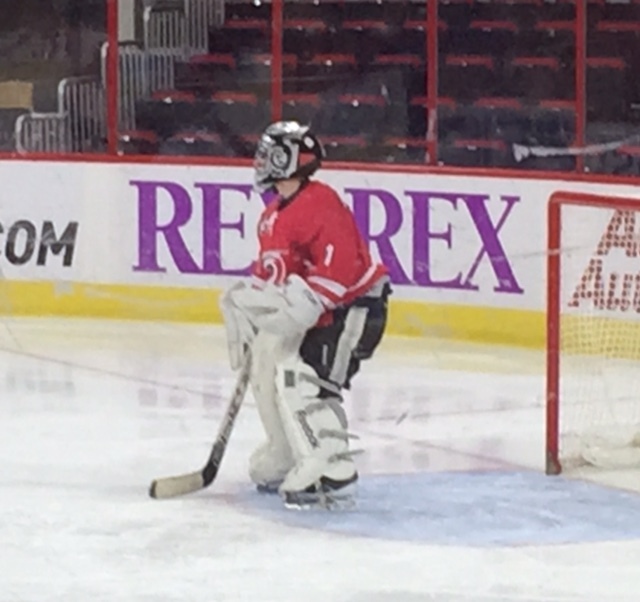 I will look at your entire website, but in the meantime you take care and and play alot of hockey. Joanna Taylor Higinbotham Suffolk, Va.